You can’t actually tell us that you haven’t tried to board the Hogwarts Express at platform 9¾! The iconic location at Kings Cross Station, so important during the Harry Potter saga, is truly a place to celebrate. 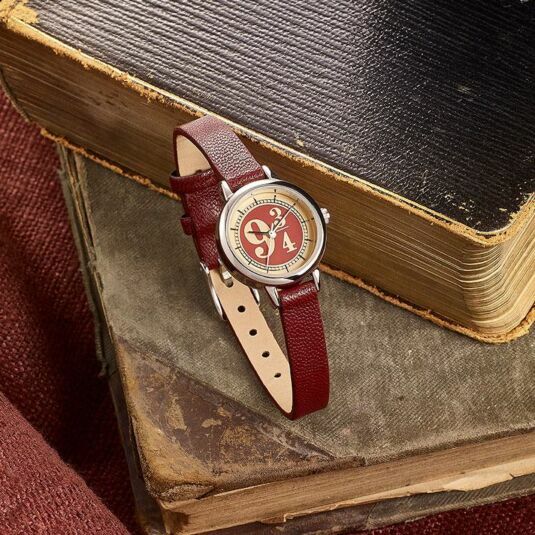 Do so by adding this elegant watch to your collection! It is hard not to remember the amazing moment when Harry Potter first went through platform 9¾ during the first movie. This watch celebrates that moment. 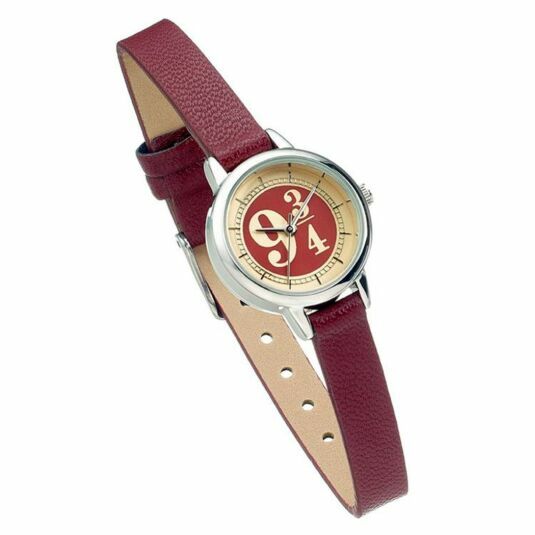 The faux leather strap is coloured a lovely burgundy, and the comfortable and flexible strap fits 8 different sizes. The stainless steel body of the watch is adorned with a graphic, reading 9¾, which sits on a burgundy circle within the watch face. The hands of the watch are a shining silver colour and the dials are a stunning gold. 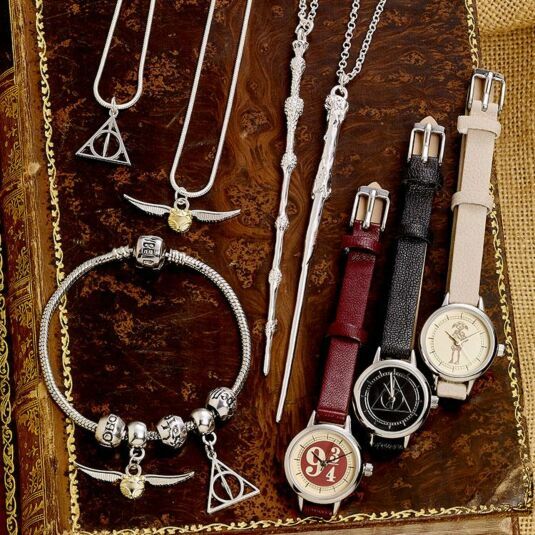 The bezel surrounding the watch is silver plated and shines in the light. 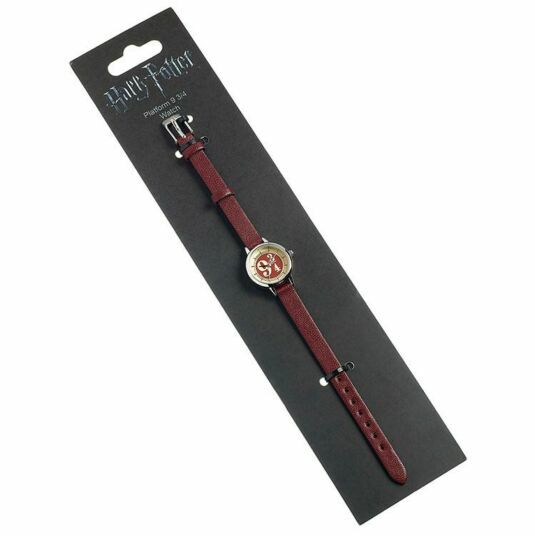 The resulting watch is something that any Harry Potter fan would be proud to own.